This award recognizes a social work educator’s exemplary achievements in research, scholarship, pedagogy, curriculum development, and organizational leadership over their entire career. 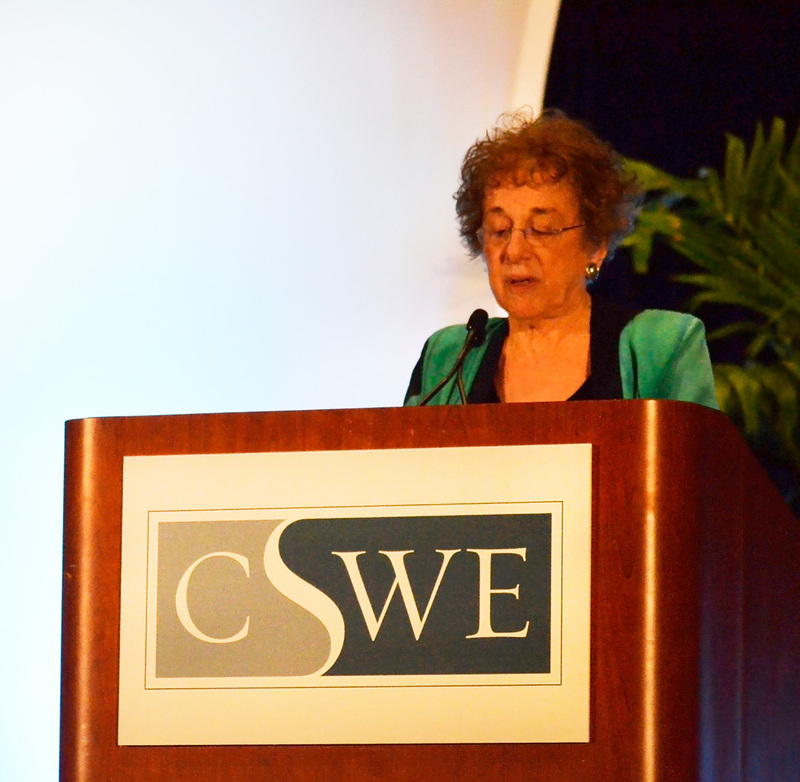 In 2004, Professor Abramovitz received CSWE’s Award for Distinguished Recent Contributions to Social Work Education. The 2018 award was presented to Professor Abramovitz at a special luncheon on Sunday, November 11, capping four exciting days of learning and collaboration among social work educators from around the country. Colleagues, peers, and friends of Professor Abramovitz were present in full volume to celebrate the extraordinary accomplishments reflected in this award. Professor Abramovitz also received special recognition from the Silberman School of Social Work’s Dean Mary Cavanaugh (pictured with Professor Abramovitz) and dozens of Hunter community members at the School’s dedicated reception on Saturday evening, November 10. The entire Silberman School of Social Work and Hunter College communities warmly congratulate Dr. Abramovitz on this outstanding and well-deserved honor.